CircuitWorks® No-Clean Tacky Flux is a Type ROL0 formulation designed for BGA rework requiring high-reliability, stability and cleanliness. CircuitWorks® No-Clean Tacky Flux gel composition holds the BGA component in position even with board movement. Its lower viscosity allows easy application and contains no ionic material. 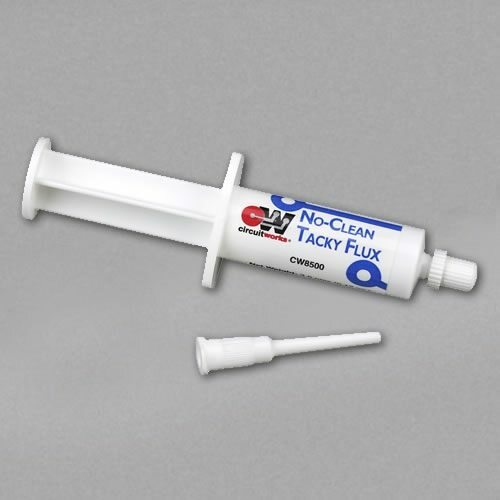 CircuitWorks® No-Clean Tacky Flux is suitable for clean room applications.